You will literally never see another watch exactly like this one. 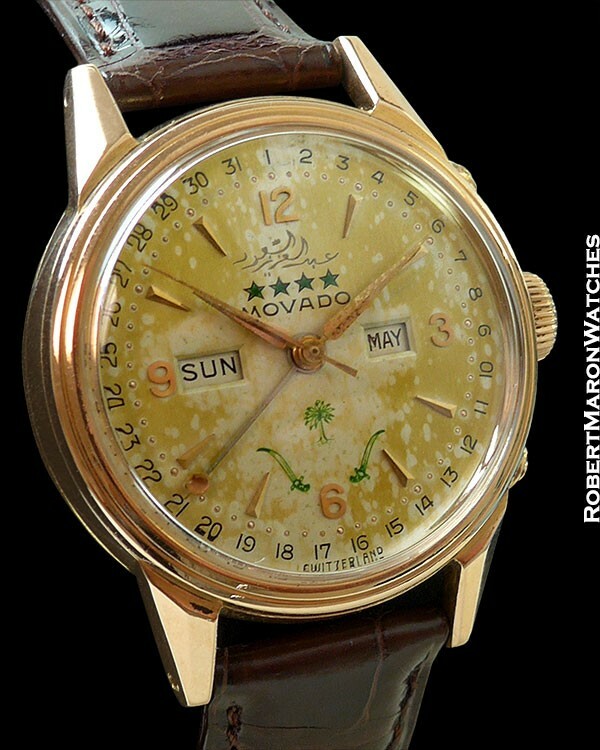 This Movado is from 1950, a time when watch companies were competing not only on their timekeeping, but also innovating with new complications and protection from water intrusion. This watch has state of the art technology for 1950 like its screwback, versus the commonplace snap back used then. In addition, the watch has a window for the Day and Month, along with a Date indicator hand/index and sweep seconds hand. Now take a look at the original untouched dial with special graphics showing the watch has a connection to Saudi Arabia. Never polished, original 18k rose gold case has faceted lugs, the massive screwdown case back to protect from water intrusion, domed acrylic crystal, inner soft metal movement protector and measures 32mm in diameter. 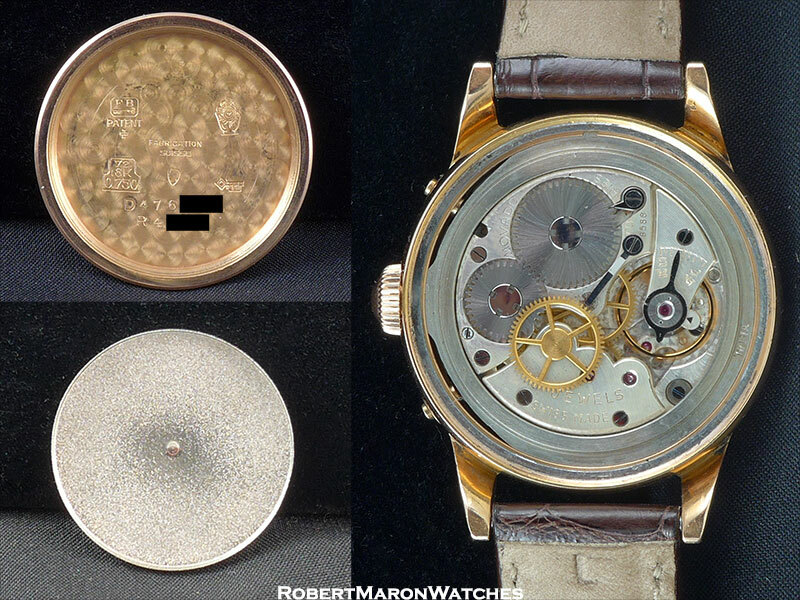 Original untouched silver dial which has taken on a champagne patina with applied rose gold hour markers and numerals and embossed minutes chapter. Saudi Arabia graphics in green. Original rose gold sword hands. 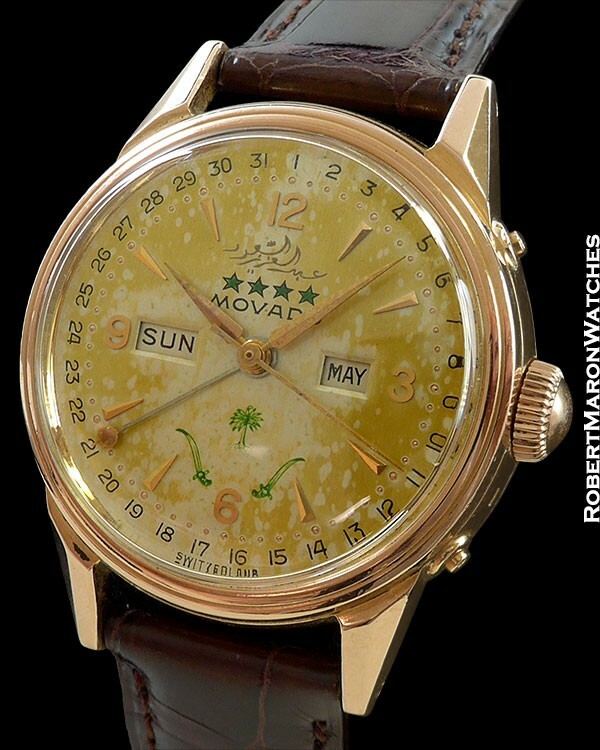 Movement is a 15 jewel Movado signed manual winding caliber with soft inner movement protector. Strap is a Camille Fournet crocodile. 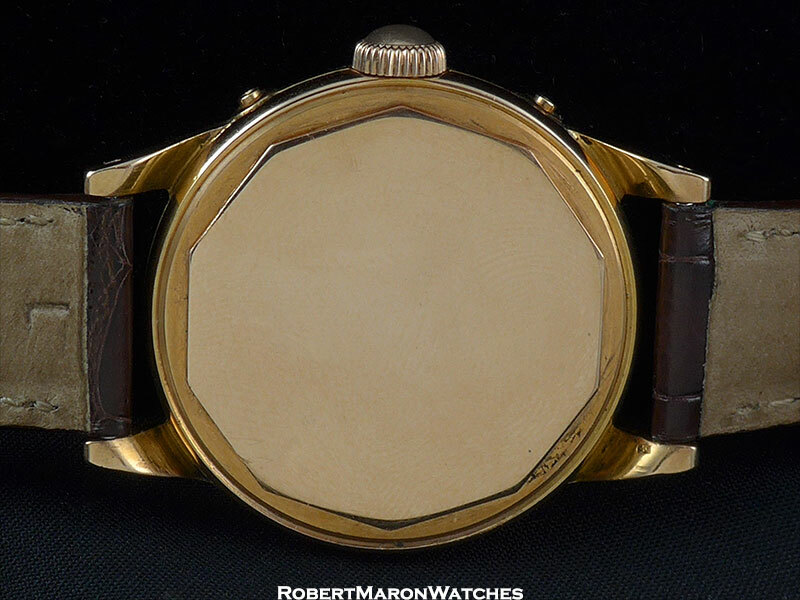 This watch has everything that is compelling about a vintage watch incorporated into it. 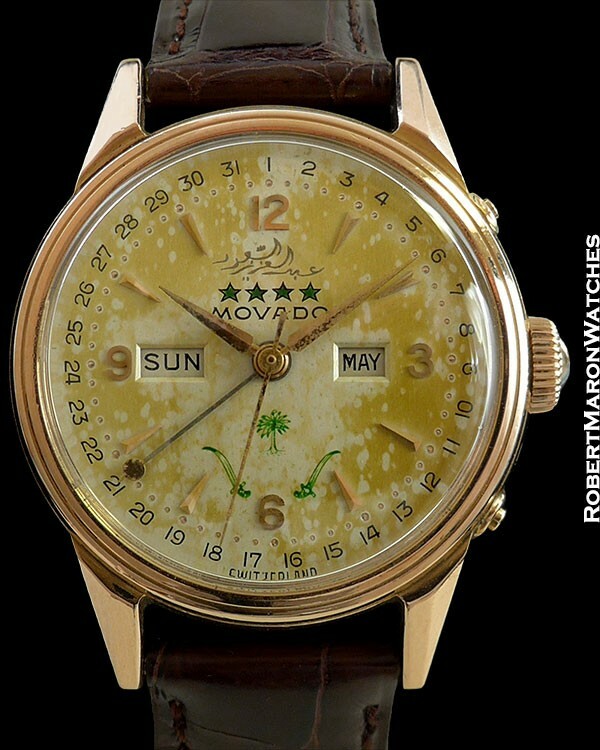 Plus, it has the Saudi Arabia dial, which takes this unpolished rare watch into the stratospherically rare category… all at an affordable price!